While several new business software technologies are catching the media buzz – including social CRM, open source CRM, customer experience management, mobile CRM and business intelligence solutions – none seem to match the confidence in continued growth as the combination of software-as-a-service and cloud computing. "Cloud Software as a Service (SaaS) offerings continue to grow impressively," affirms Ahmar Abbas, SVP, remote infrastructure management of CSS Corp., a global IT company. "SaaS-only vendors have risen in all key software domains and have successfully challenged the packaged software application companies." There are solid reasons for such widespread and enthusiastic adoption rates. "The virtues of a hosted solution are legendary," says Bill Johnson, CEO of Jesubi. "SaaS providers hardware is consistently upgraded and amortized against thousands of other customers; software upgrades happen dynamically with no involvement from the end-user; response times allow for end-user success; and there are no incremental service fees to manage the hardware infrastructure or break-fix issues." "It's too common-sensical in today's economy to do anything other than a hosted solution," suggests Johnson. It appears that companies from large to small are quick to seize these advantages and learn from the experience. "According to our most recent survey, cloud and SaaS are still gaining market share, and a lot of the myths are being shaken off," explains Shari Lava, senior research analyst for Info-Tech Research. "The total cost of ownership (TCO) is about the same after three years – so don't make your decision based on that," she advises. "And SaaS products have nearly equal functionality." Considering myths have been busted and the old rules of thumb have been given the finger, how is one to know whether or not to thumb a ride on the cloud computing and SaaS CRM bandwagon? There is a lack of executive support or CRM strategy and you need a departmental solution right away. You need to speed up the customer relationship management implementation process. You need a business software solution right now that can grow with you as needed. A lot of companies that went through a failed big-bang CRM project are trying SaaS CRM, but are doing so cautiously and want to see results before they continue their roll outs. You have too few IT staff available to support and administrate the business system over the long term. You have no disaster recovery plan for CRM so keeping it on someone else's locations seems smart. Little offline capability is needed. There is a legislative or regulatory requirement to host your own data or keep it in a certain jurisdiction. You require complex system integration with large data volumes. Info-Tech's survey suggests that customers are still having some trouble getting the kind of tight integration mid-size and large companies need. Solving this challenge is key for SaaS CRM solutions to continue to move up market. Data integration can be tricky enough to begin with, but there are several factors that complicate it further, such as large data volumes integrated across the web and firewall configuration issues. For a deeper balanced perspective, check out the advantages and disadvantages of SaaS CRM solutions. I read a recent Forrester report that said while SaaS has taken hold of several applications types such as CRM and human resources, only 3% of the total software market is being upended by saas solutions. The report went on to point out that SAAS faces big obstacles in the four areas of i) lower-level stack programs such as operating systems and databases, ii) software for internal management, iii) legacy process-based applications and industry specific applications such as securities transaction processing systems. Forrester estimates that these four types of apps make up about 40% of all software spending - and will stay in-house. I find Info-Tech's claim that on-premise is superior for data integration to be bunk. Using web services with SaaS solutions is far and away a faster, simpler and cheaper approach to system integration that yesterday's on-premise API approach. You raise a valid point. When speaking in generalities I don't think anybody can make an absolute statement that SaaS solutions or on-premise systems better accommodate system integration. Isn't inhouse CRM better for integrating to other inhouse business systems? Possibly. Software integration was a limiting factor in the early era of SaaS business systems. 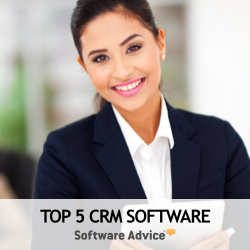 However, as market share leading CRM vendors such as Salesforce.com delivered Force.com, NetSuite delivered NS-BOS and other vendors followed suit in delivering similar powerful, yet fairly easy to use integration and customization tools, SaaS CRM solutions became much stronger in system integration. Also, a number of third party integration providers, such as Boomi and Cast Iron, deliver flexible, pre-packaged integration tools, sometimes using the SaaS subscription and delivery model. I think the physical or virtual structure of the business is another criteria in determining the preferred delivery platform. Centralized businesses retain greater control and can achieve greater economies of scale by deploying a single product inhouse and sharing it broadly. Decentralized or virtual businesses clearly benefit in terms of simplicity, real-time information sharing and flexibility from using SAAS and the Internet as their network. Microsoft, Oracle and SAP all offer both on-premise and on-demand CRM systems and allow you to migrate from one to the other. It's too common-sensical in today's economy to do anything other than a hosted solution."